Amelie's Blog : Step It Up Challenge! 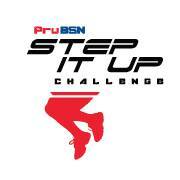 On 14th and 15th of September, PruBSN will be having a Step It Up Challenge! 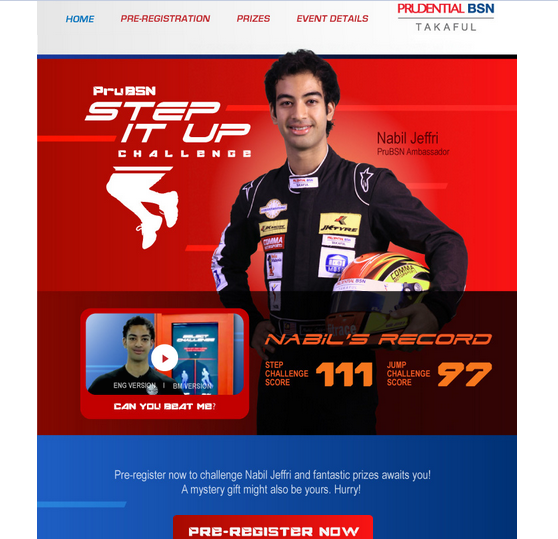 PruBSN was formed from the partnership between Prudential and Bank Simpanan National (BSN), two financially strong companies in their respective fields of expertise. The strong branding and identity of these two companies have created vast opportunities for PruBSN to accelerate the growth of Takaful industry by providing innovative and dynamic Takaful Resolutions. Instill the importance of family values and spirit of togetherness among everyone of us. In this Step It Up Challenge, you will be able to win yourself a Ipod Nano or Nike Sportband by beating Nabil Jeffri's score! Step or Jump! 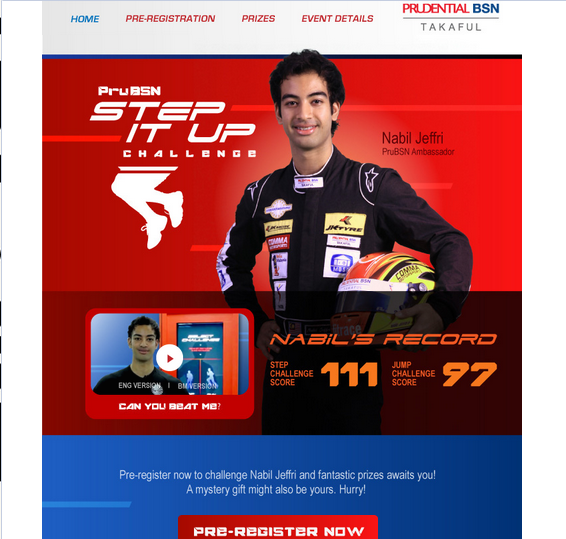 Even though you can't beat Nabil Jeffri's score, but you will still get a mystery gift from PruBSN. Limited to first 200 customers. 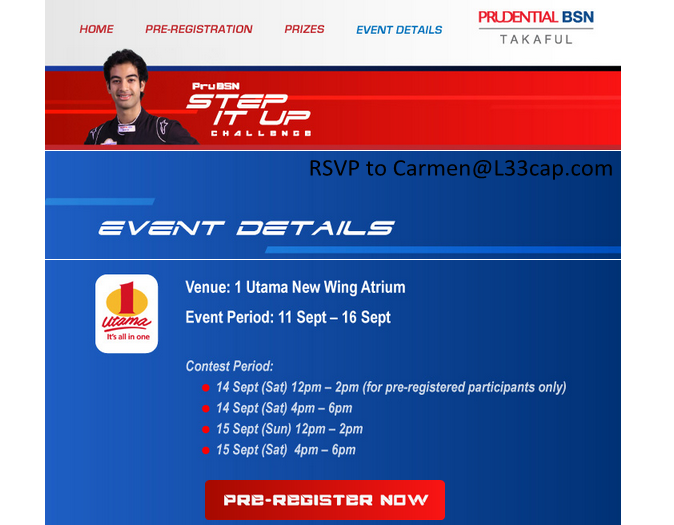 Step 1: For bloggers and my readers, RSVP to Carmen@L33cap.com and there will be 30 gifts reserved for you guys! 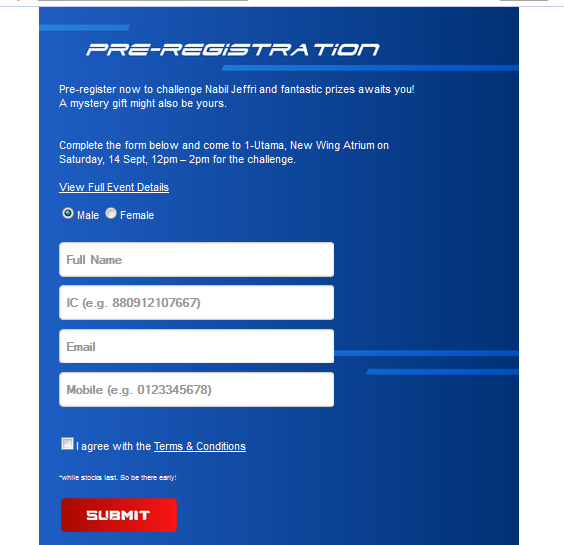 Step 2: Like PruBSN page and pre-register. Step 3: Complete and submit the form. at GF New Wing Atrium, 1 Utama. 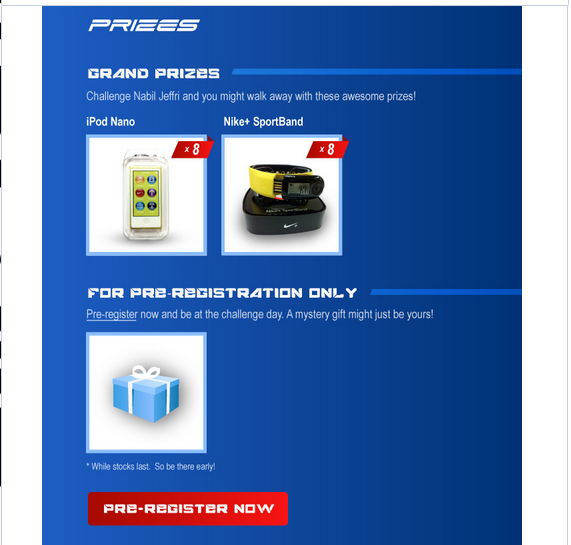 After completing the Step it Up challenge on 14th September, you will be able to get your mystery gifts! My recent giveaway, Mircoz Fiber Lash Extender set which costs RM312!